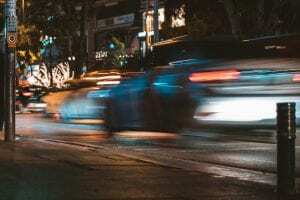 North Merrick, NY (April 15, 2019) – On Sunday, April 14th, a two-car collision was stated to have resulted in several injuries, at least one seriously, according to authorities. The crash was reported to have taken place around 7:45 p.m. at or near the corner of Merrick Avenue and Jerusalem Avenue for reasons that have not been confirmed at this time. While the details concerning the events that led to this accident have not been made clear, police confirmed that authorities were summoned to the aforementioned location along with emergency medical crews. Paramedics at the scene were reported to have transported at least one person to a local hospital to be treated for critical injuries. Several others are believed to have sustained at least minor injuries, as well. At this time, the cause of the collision remains under investigation as no further details have been provided. Before anything else, we would first like to extend our sincere sympathies to the critically injured victim, as well as the others involved, as we preserve hope for their full recoveries. After a car accident in New York, it is terribly essential to understand that, as victims, you may have substantial rights moving forward.